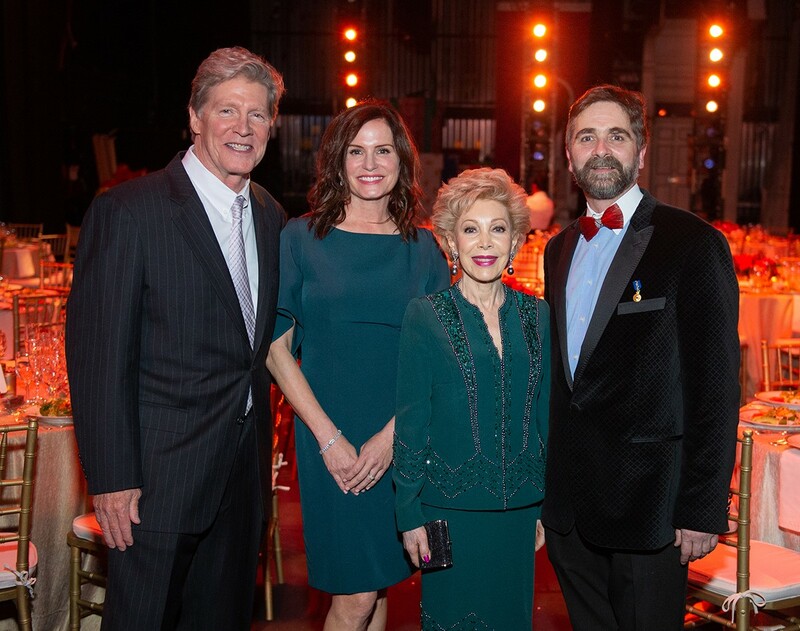 The Margaret Alkek Williams Jubilee of Dance Onstage Dinner, chaired by Cabrina and Steven Owsley, celebrated the Houston Ballet’s return to the Wortham Theater Center after Hurricane Harvey. More than 200 guests attended the eventon the Brown stage of the recently reopened Wortham Theater Center. The performance showcased the talents of company members in excerpts of signature works and classics. After, party-goers made their way onstage for a dinnercatered by Jackson and Company. A blue and white cloud scene, used in Act II of The Nutcracker, provided the backdrop. This year’s event raised more than $160,000 for the Houston Ballet, making it one of the most successful onstage dinners for the ballet. Pictured are (from left) Steven and Cabrina Owsley, Margaret Alkek Williams and Stanton Welch AM.